Fibromyalgia Surgery: Those Two Words Together Mean Danger! When a fibromyalgia sufferer is faced with the prospect of surgery, surgery should be discussed as much as possible in order to avoid surgery that is not absolutely necessary. First of all many of the symptoms of fibromyalgia are due to the fibromyalgia itself and not to some kind of other disease. The most common are hip or knee surgeries. Knee arthroscopy for chronic knee joint pain despite normal or subnormal radiological investigation [x-rays, CT scans, MRI] is the most common. Not only a knee arthroscopy is totally unwarranted in face of normal investigations, but even worse a lavage of the knee under arthroscopy, with or without the added insult of a biopsy, is not only unwarranted but also has been shown to be totally unsuccessful by two well designed double-blind studies. In someone suffering from fibromyalgia with chronic pain of their knee not only it is unwarranted to practice such a surgery but it is detrimental to the patient by making him worse. Surgery, with or without anesthesia, weakens a fibromyalgia sufferer already prone to infection with a decreased immunity and represents an added stress that will make the fibromyalgia worse. Not only the rate of complications increases but also the fibromyalgia itself worsens. This is why if any surgery is suggested a second opinion that should be sought and a full discussion on the possible alternatives, especially conservative treatments, should take place. No surgery should be done without this full discussion. In medico-legal studies about postoperative complications it is a common discovery that up to 70% of them are unwarranted. To find that 70% of surgeries are unwarranted and that the more conservative treatments have not been suggested or properly done is pure negligence. This is an example of a catch 22 situation. On one hand, the fibromyalgia sufferer is often overweight for many reasons and cannot loose weight because the fibromyalgia is limiting the mobility. On the other hand, the obesity is making matters worse. In this situation, fibromyalgia lap band stomach surgery may be contemplated. But this should not be done without an extra careful preparation and perfect peri-operative care taking into account the fibromyalgia characteristics. Fibromyalgia Surgery Advice: Due Diligence! 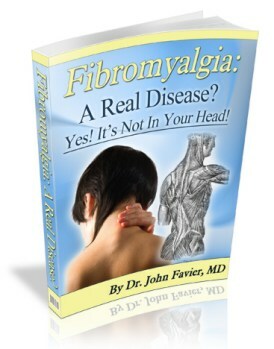 With fibromyalgia surgery is not the only problem. Anesthesia is a real challenge!